Using nut milk or soy milk in place of the egg, creates an extremely luscious “mayonnaise”. As with mayonnaise, you can be creative with the flavourings, however this is a classically flavoured version. The soy milk has lecithin in it naturally, which is found in eggs, which is why they are able to emulsify with oil. Nut milks usually have soy, flax or sunflower lecithin added to them. It’s the lecithin that is required! When baking for Vegans, or those allergic to eggs, I make a flax egg out of 1 T ground raw flax and 2½ T lukewarm water. Simply mix them together in a small bowl, and let rest for about 10 minutes. Use in the place of an egg. Works like a charm. Put the soy or nut milk into a 2 cup / 500 ml canning jar. Add in the lemon juice, salt, and mustard. Using a stick blender (immersion blender), process the milk until the flavourings are incorporated. With the blender running, slowly drizzle in the cup of oil. Continue blending, moving the blender through the ingredients slightly, until the oil has completely emulsified into the milk. 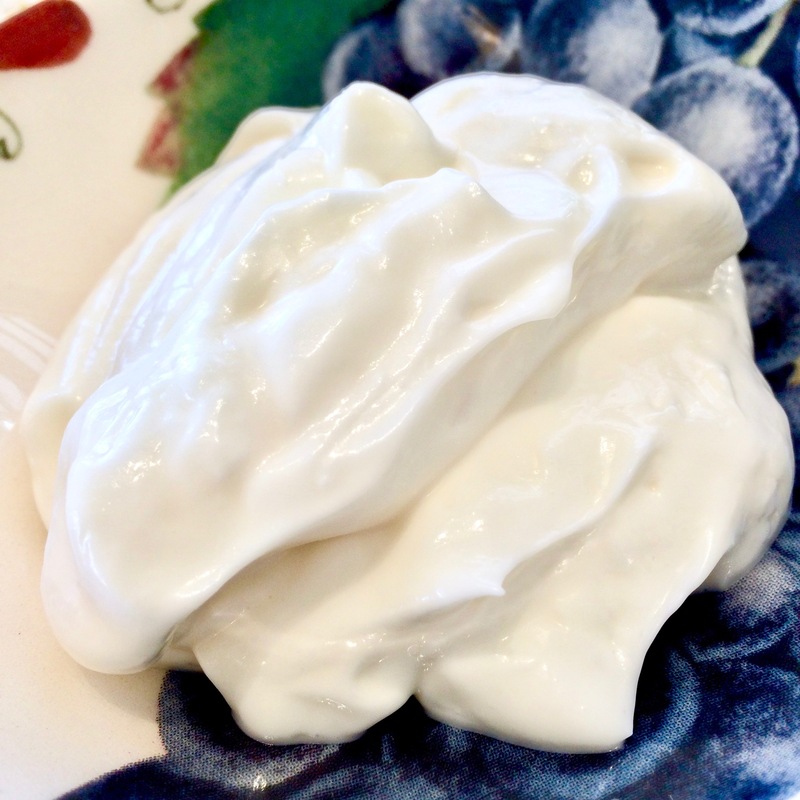 This makes a very smooth mayonnaise, beautiful for spreading or for dipping. Here are a couple of photos of salad platters that we’ve done It’s all about fresh ingredients, beautiful colours and seasonality. Let them inspire you until I post the method and amounts. Our usual summer platter with coloured peppers, blanched snap peas, cucumbers, diagonally sliced grape tomatoes, mangoes, canary melon, mixed greens, and sprinkled with chopped red onion. Brunch platter with roasted yams, caramelized onions, egg, fresh shrimp, avocado, & cashews on mixed greens. Served with a cashew butter based dressing with parsley, lemon & oil.